Fix this app, cannot even navigate to the correct page.. absolutely no control. I bought netters anatomy flash cards and it came with a card so I could also have the cards on my phone through this app and ever time I try to study them the app crashes before I can even look at the cards. So many glitches. I tried being slow with the app to give it time to load and everything and it won’t stay open. Very upset. Please fix! Your app is so broken I can’t even log in. To be fair, your website also won’t let me log in because it times out when I try to accept the terms of service. Fix your service. Once you search for something, when you scroll it jumps to the beginning of the section. Also highlighting is messed up. This is recent, from a new version and NOT isolated to my phone as other colleagues have same problem. 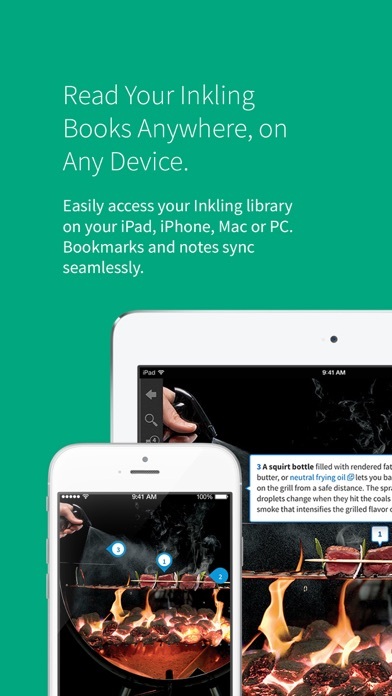 Inkling is the only app made for digital textbooks and, after trying so many others, will be my go to app. However, a recent updated added a glitch that does not take take you to the chapter section you tap from the sidebar, but rather only to its corresponding heading. This is a massive error when going throughout the text. The app is getting worse! I click on a subsection in a chapter and it takes me to the beginning of the chapter. These chapters are huge and scrolling down on an iPad is annoying and worse on the iPhone. Not sure what this company is thinking. I hope Elsevier moves on. My previous emails to support (months ago) acknowledged the problem, but that's it. Clearly they do not care for their customers (publishers) or end users. I use this mainly for radiology books. The images are fantastic, though the file sizes are very large, often 1gb or more for a big text. However, trying to just read a chapter is a horrible experience. For a book that is fully downloaded, there is a lag and necessity for multiple clicks each time you want to look at an image. For that reason I look for content in other applications whenever possible. Please fix this app! Every time I open a photo in a textbook and then close it to go back it takes me back to the beginning of the chapter instead of the appropriate section. I’ve contacted support twice over a span of a year and each time they say they’re aware of the issue and plan to fix but nothing has been fixed. 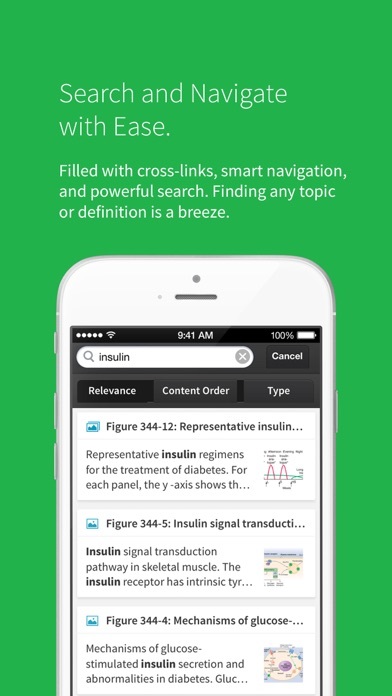 Makes it hard to use the app to study. Books are rendered as text with all images listed with reference numbers. The numbers are unclickable which means you have to sort through dozens of images to find the correct one referenced to the text. For radiology texts this is a joke. I have radiology texts on Kindle and the implementation of images is MUCH better. It’s so bad I’m contemplating buying the kindle version of the hardcopy books I already own and can only use inkling to access. We’ve been asking for this for years now! Why is it so difficult? It’s such a basic function, and the iPad app has it! Why not the iPhone one? Please! I don't have the same picture issues. Just wanted to let people know that I have been reading a medical textbook on the iphone8 and haven't had the whole "click on a picture and scroll up to the top of the chapter" problem. You can get back to exactly where you were with a swipe of the finger. Update 6/13/18 - iPhone X support is finally here but that’s it’s. Unfortunately still without a host of other updates or new changes. Maybe this a sign of things to come. At least someone is still thinking about this app. Now 3 stars. Please update this app with new features and bug fixes. I have to agree with most of the other reviewer’s on here that this app is outdated, iPhone X support remains to be seen, the same bug that’s been there for years when viewing pictures and bringing you back to the top of the chapter remains unfixed, no split screen, no hand written note support, multiple bugs relating to highlighting and certain characters. Hasn’t seen any major changes in years, seemingly unsupported at this point. I hope this changes because this was one of the best readers at the time. Finally support for iPhone X. Appreciate the iPhone X update. I have to agree with most of the other reviewer’s on here that this app is outdated, iPhone X support remains to be seen, the same bug that’s been there for years when viewing pictures and bringing you back to the top of the chapter remains unfixed, no split screen, no hand written note support, multiple bugs relating to highlighting and certain characters. Hasn’t seen any major changes in years, seemingly unsupported at this point. I hope this changes because this was one of the best readers at the time. I use this app on a daily basis. Still no iPhone X update. And some tables on some books are not displayed properly. I’ve been attempting to use the Netter anatomy flash cards with this app, but haven’t been able to view more than a few seconds before it crashed. I’ve tried turning the phone off and on, closing and restarting the app, closing all other apps, reinstalling the app, and nothing has worked. Stick to the desktop version. Many of use use books with pictures and with this annoying bug of going back to the top of the chapter after each time I open a picture is super annoying and a total waste of time. Any PDF reader of there would do a better job. Please add iPhone X support for the app. Needs iPhone X support. App is dated. “Newest” version changed name but failed to provide iPhone X support. I phone x has been available for nearly 6 months. Where is the iPhone X support? This app doesn’t even take up the whole screen. iPhone X has been out for 10 months. Where is the iPhone X support? This app has basically been abandoned by its own developers. I hope Elsevier move to Vitalsource soon. Zero features. Sluggish as hell. Doesn’t play nice with Apple Pencil, which it just sees as a finger. Highlighting on my iPad doesn’t seem to work. Should have smaller fonts available in the era of retina displays. Should be better annotation tools that are easy to use. Don’t think their developers have actually spoken to anyone who uses inkling for textbook reading and annotation, otherwise they’d realize how annoying the system is. Wish I could find a way to transfer the books to another app. Poor support from developers in keeping it up to date. 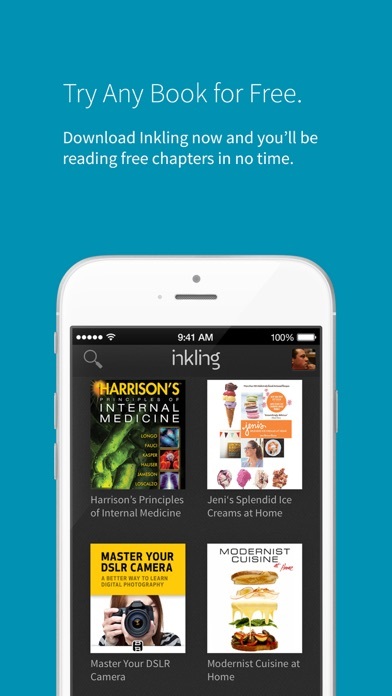 I bought into the inkling book system when it first came out and now I’m stuck with a reader that isn’t supported. Annoying because it won’t let me mark questions to go back to in grays anatomy review as well as many other books. It’s a simple fix but they still haven’t done it. The iPhone X has been out for a while and there is still no update for this app. Additionally, the bug that automatically scrolls to the top of a section when returning from looking at a photo is still here. This makes reading medical textbooks horrendously painful. Imagine a book skipping 50 pages earlier every time you read a picture caption. I contacted support and they said that their engineers are “aware of the problem” but that “there is no ETA for a fix at this time.” Fantastic. 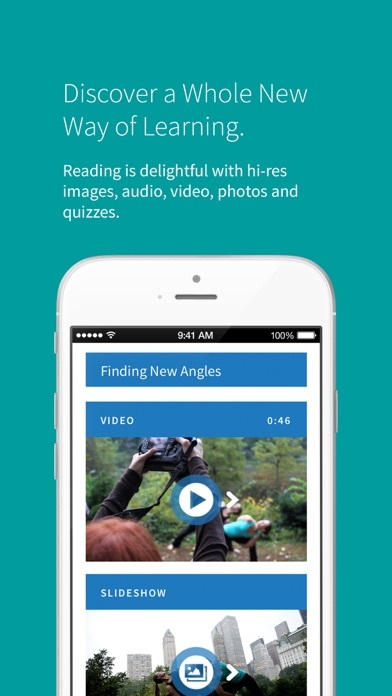 App is outdated, tons of reading errors and bugs. Fix it or let us transfer our books over to new Vital Source platform. This app is poorly designed and overall frustrating to use. We have the first update in 8 months, and it’s simply “bug fixes”. No support for iPad split screen (should be required for any reading app), no support for iPhone X screen, no dark mode. 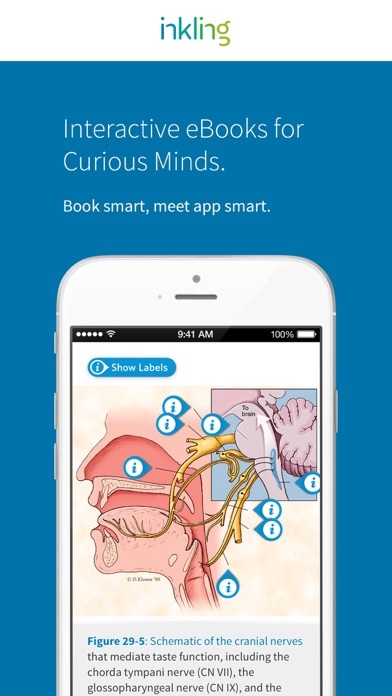 I wish I wasn’t locked in to using this app through expertconsult. I loved it in the beginning, hate it now. It makes me sad actually. The app was a great idea when it came out. There used to be regular feature updates, such as allowing you to search all of your books at once rather than just the book that is open. Unfortunately, they haven’t done much in the way of innovation since then. No support for handwritten notes. No support for iPad split screen support (their old argument of supporting prior iPad versions certainly holds less credence today). No support for browsing a book without downloading chapters. Perhaps my biggest gripe is the navigation. I’m tired of looking at a picture and having the app jump to the top of the section when I go back. It’s tolerable in short sections, but when I spend more time scrolling than reading, that’s a problem. I have to strongly consider whether the picture caption is worth my time. At this point, I’m relieved that LWW is moving to a different platform. I hope it is better with a stronger focus on innovation. Needs to be optimized for iPad Pro and Apple Pencil (split screen, notes, etc). Last update to the app was 6 months ago, so I’m not hopeful. I have purchased hundreds of dollars in books here. Now I’m locked out and there’s no explanation. my password is no longer working, and the site is not functioning to update my password. A call into their offices leads only to voicemail. Refund? Fix your app so we can enjoy a true iPhone X experience. Last time your app was updated was months ago. Come on! Pathetic. No split screen on iPad. Text too large for my taste on larger iPad and unable to adjust further. Cannot write notes in the margins with apple pen. Could be great with just a few tweaks as mentioned above. no table of contents for Cecil’s Medicine. this is crap. I have written to the app engineers a couple times over the years about the poor design of this app. No zoom, No rotation, terrible navigation, and now, still no iPhone X support. The response I received on both occasions was that they would consider my suggestions. This app is bare bones dysfunctional. I would never buy another book that uses this platform.